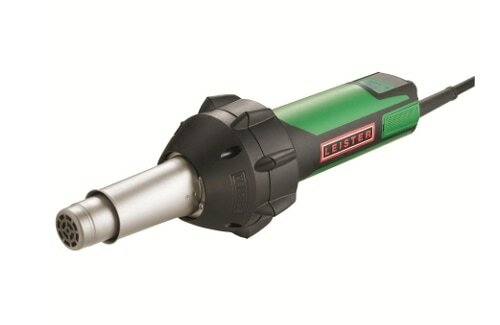 Leister TRIAC DRIVE Semi-Automatic Welder - Industrial Fabrics - STANMECH Technologies Inc. This tried and tested semi-automatic hot air welder can be used for vertical or horizontal hot air welding. The increased welding speed compared with manual welding means higher productivity. The TRIAC DRIVE is available in Canada only through STANMECH and our distributor network. 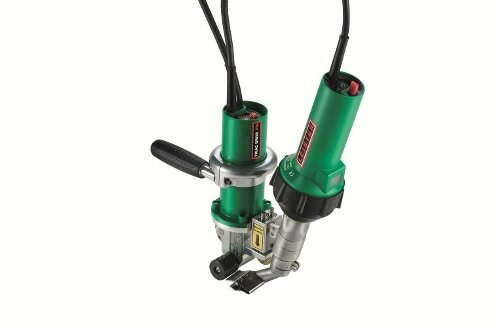 Tools bought through us are electrically certified for use in Canada. 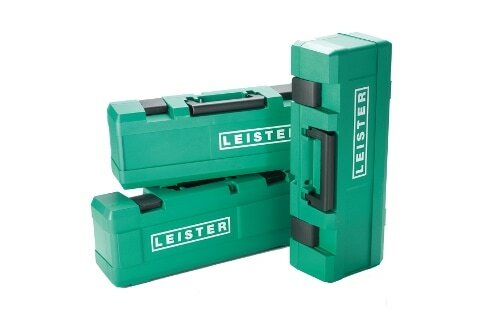 In many cases this entails replacing cords or switches in the tool to meet stringent CSA standards. Each tool is physically inspected by an approved field inspector prior to certification. We offer same-day shipping on in-stock items and service everything we sell from our facility in Burlington, Ontario, Canada. 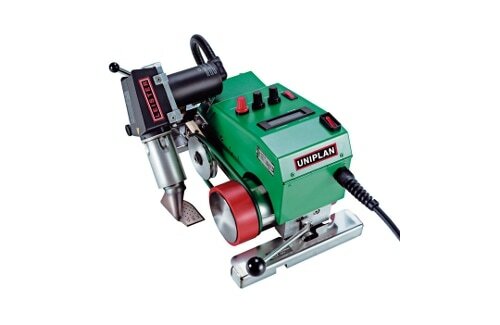 The UNIPLAN E allows efficient and exact welding of most industrial fabrics.